If you’re looking to buy a blender, you might be wondering if the expensive brands are worth it. Some people think splurging on a Vitamix is a luxurious overspend. Before I bought one, my husband certainly thought so. “Why pay 10 times more than you have to for a kitchen appliance?” It didn’t seem like a frugal choice. I’d like to tell you why that thinking is wrong, and why my husband has completely changed his mind about expensive blenders! Don’t be cheap, be frugal! Is it frugal to buy the cheapest product you can find? There’s a difference between cheap and frugal. Frugality is about getting the most value for your dollar (and time). Here’s what generally happens when you buy a cheap blender. You try it out a few times. Sure, it blends your food, but not particularly well. The whole process is a hassle, especially the cleaning. You put the blender in the cabinet. You don’t use it very often. It breaks, or you realize you need to upgrade. High quality items can be worth their extra cost if they prevent the need to buy twice, if they last longer, or if they save you money on a regular basis. Expensive blenders meet all three of those categories. There’s a reason they come with 7-8 year warranties. You can expect to run yours from 15-20 years. Compare this to the 1 year warranties of cheap blenders. To put it simply, they burn out. Often. You might be lucky to buy twice; you could easily go through 5-10 cheap blenders in the lifetime of one BlendTec or Vitamix blender! But saving money on the longevity of the blender is nothing, compared to the benefits of owning a blender that you actually love to use. I use my Vitamix blender about 20 times more than my old one. This is partly because the quality of the blended product is SO much more enjoyable. When you love eating something, you love making it. Another reason I use the Vitamix more: I don’t mind cleaning it! Cleaning my old blender was a huge pain. I had to really want to blend something in order to motivate myself to go through the cleaning process. By comparison, cleaning the Vitamix blender is a breeze. It doesn’t require you to take any components apart. You just put soap and water in, and run it. Why is it important to use your blender more? 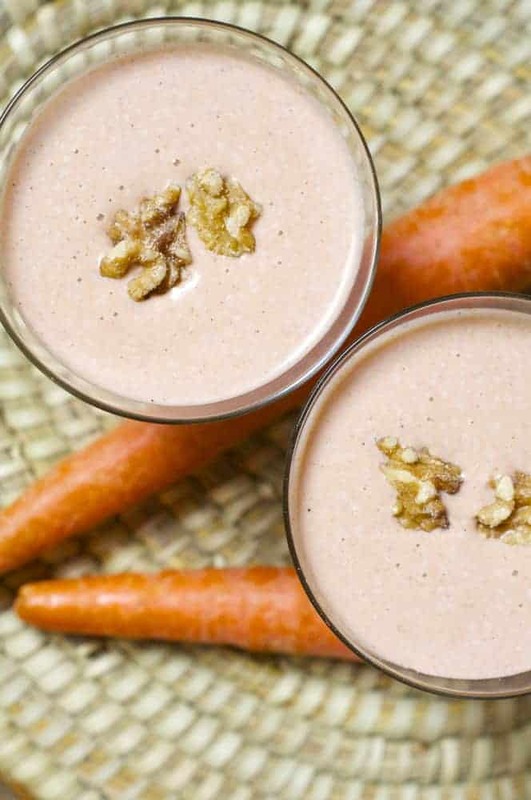 Because using a blender is good for your health (and as you’ll read later, your wallet). The more you use it, the more you benefit! 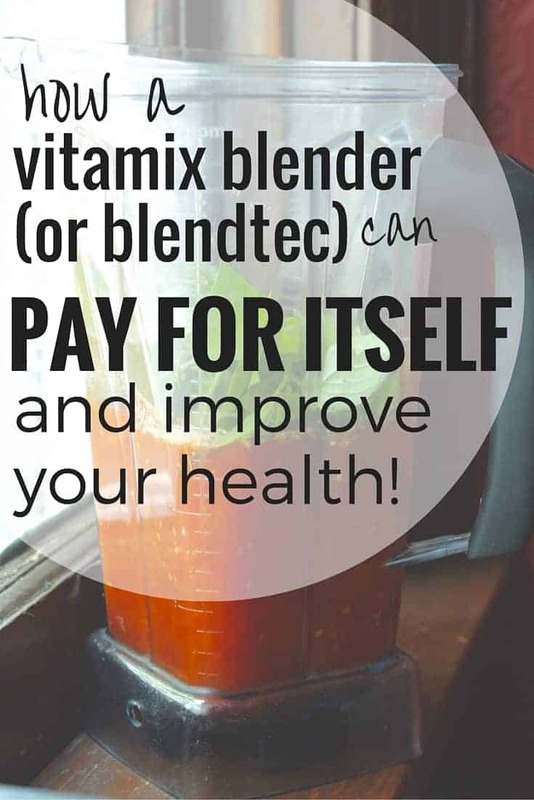 Using your blender more is great for your health! Blending things at home gives you control over the ingredients in the food you eat. 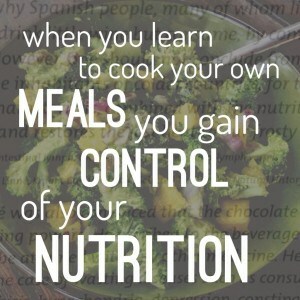 Making your own food is one of the most important health decisions you can make. The beauty of a high-quality blender is that it’s so easy to use. 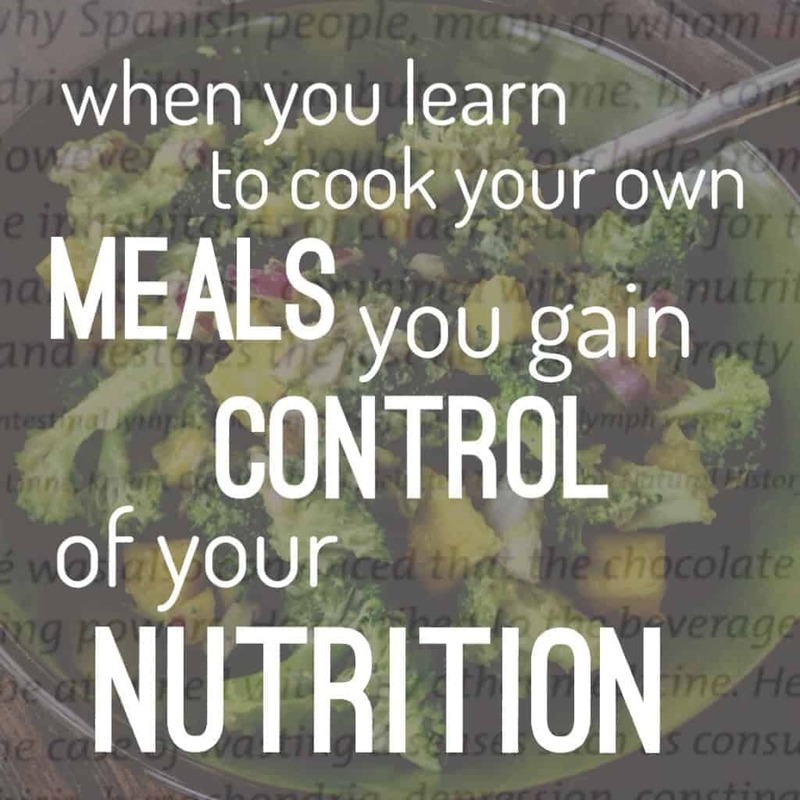 Even people who don’t know how to cook can easily make their own soup and smoothies. But even if it WASN’T critical to your health, I’d still recommend buying an expensive blender, because it will quickly pay for itself. Because it’s a joy to use and gets used a lot, my Vitamix blender has paid for itself over and over again in the five years I’ve owned it. Homemade food is just so much cheaper than store-bought food. I’d like to take a moment to highlight a few of the foods that will save you money if you invest in an expensive blender. 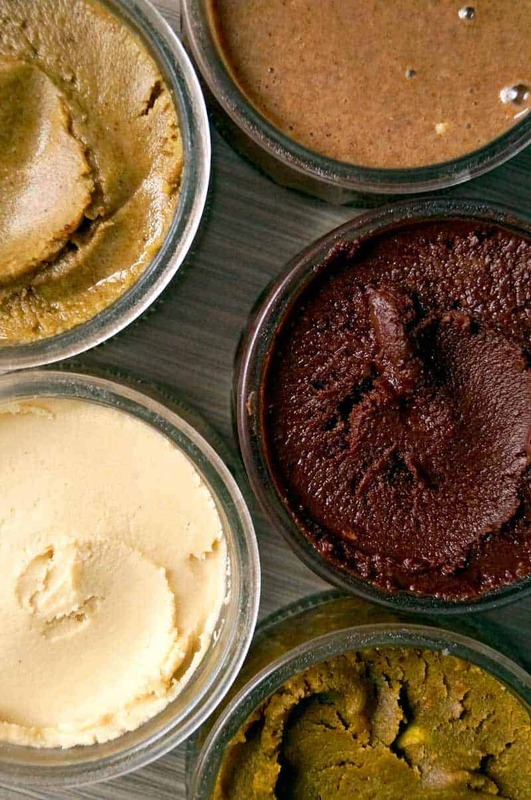 I’ve seen a lot of tips for getting a smooth, creamy hummus texture. The final process involves peeling the skin off each chickpea and drizzling in the oil as the hummus blends to get the perfect emulsion. Are you kidding me? This is finnicky and time consuming. Are you really going to make homemade hummus if you have to peel EACH chickpea? 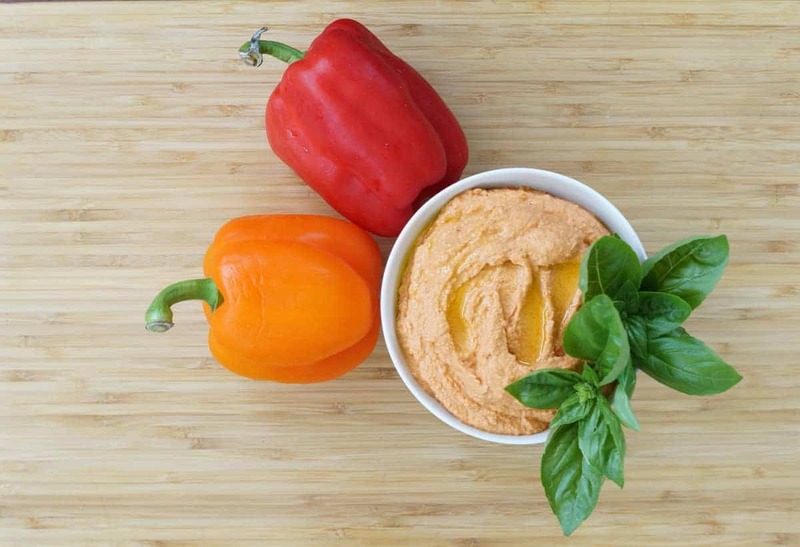 You could eat store-bought hummus instead, but have you checked the sodium content on that stuff? 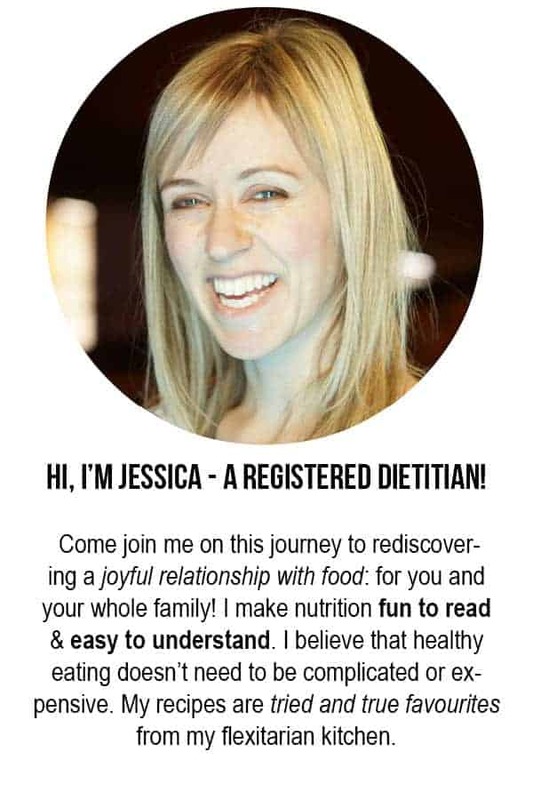 You’re not a dietitian, so probably not. I’ve experimented endlessly with different levels of salt in my hummus recipes. I’ve found that store-bought hummus is about twice as high in sodium as it needs to be, without sacrificing taste. My family of three easily goes through a batch of hummus in a week. That’s because I know how important veggies are in our diet, and because we love eating raw veggies with hummus. It’s easy to prepare, it’s healthier than cooked veggies, and kids love it. My husband wouldn’t even drink the smoothies I made before we got the Vitamix. He called them “chunkies” and turned up his nose. No one wants a chunky smoothie. As far as I’m concerned, standard blenders don’t even make smoothies. You can’t compare them to the smoothies that are made by blenders with 2 HP motors. So in that regard, I’d say an expensive blender is priceless! The first time I offered my free 10 day healthy breakfast challenge I included a smoothie recipe that contained an orange. One of the responses I received was that the smoothie was weird because the orange didn’t blend well. I completely forgot that an orange would turn a smoothie into a “chunky” if a high powered blender wasn’t used. Here in Canada you’ll pay at least $7 for a smoothie. This sticks you with a gigantic portion size as well, which you may not need. If you’re in touch with your fullness cues (which I teach you to do in my program, I Quit Overeating), you might waste this extra food by throwing it out. If you’re not, you’ll probably waste it by consuming it. Either way, it’s a waste. The best case scenario is that you put it in the fridge and have it later, but we all know that leftover smoothie is subpar. It’s still a waste, to some degree. 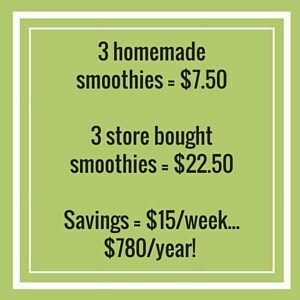 At home I make smoothies for an average of $2.50. For our family of three, having smoothies once a week is pretty ordinary. The latest studies show that early exposure to allergenic foods may help prevent allergies to that food. You’ve probably heard how common peanut and nut allergies are becoming, right? To prevent allergies, I wanted to feed my baby nuts early on, but they’re obviously a choking hazard and unsafe to give a child. Just like peanut butter, but using any kind of nut, this delicious spread can be mixed into yogurt or baked into muffins. My baby LOVED it! But nut butters are expensive! Especially if you want to eat anything other than almond butter. 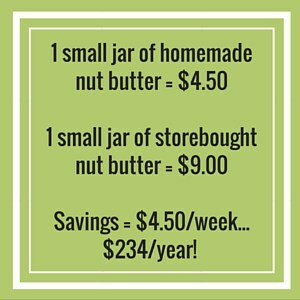 A high powered blender can easily turn whole nuts into butter for less than HALF the cost of store-bought! Depending on how much you eat, the savings can really add up quickly. Let’s say you go through a small jar of nut butter each week. Check out the savings! I’ve had a lot of fun developing nut and seed butter recipes! Total savings in one year = $1170! 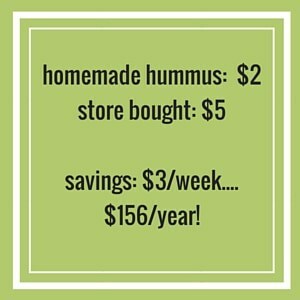 If you consume one tub of hummus, one small jar of nut butter, and three smoothies a week, you can pay off a $500 blender in 6 months! This is not hard to do with a small family. Of course, there are an unlimited number of ways to use a good blender. I’ve only highlighted three of them. If you use coconut milk in your cooking, you can make your own coconut milk for 1/5 of the price! Or make a healthier hot chocolate using dates as the sweetener. I buy my ingredients in bulk and then store my finished products in reusable containers in my fridge. Think of all the hummus containers and smoothie cups I’m saving! Disposable containers use oil to manufacture them, contributing to global warming. They then sit in landfills for freaking EVER! Your great-grandchildren will thank you for buying an expensive blender in order to preserve the Earth for them. At this point the only question left for you to ask is: which brand should I buy? So far I’ve highlighted the two most prominent brands, because they’re both brands I can personally recommend. I own a Vitamix, while my sister and mom both own a BlendTec. We all seem to love our blenders equally, so my recommendation is to not sweat the small stuff. Just buy the brand that appeals to you more, or that you can find a better deal on. Vitamix 5300 This is a newer model than what I have. What I like about this one is that it has a low profile and can fit better on the counter. Blendtec My mom and sister have both been thrilled with their BlendTec blender. The above links are affiliate links. If you found this post helpful, please consider purchasing from Amazon by clicking above. I never had a kale smoothie until my vitamix, which I got as a wedding present. I could always taste weird veggie textures in my fruit based smoothies but now I can put in celery, ginger, kale, whatever! It’s the most used appliance in my kitchen outside the toaster and the coffee maker (if you count my husband’s usage). And I pretty much only use it for healthy food. I made beet-chickpea hummus in there too and it was so delicious. I also use it to make date/cinnamon fillings that replaces cinnamon bun mixtures (which are just sugar and cinnamon) and I’ve used it for date/nut cookies too. Hi! This is such a fantastic, well-written and practical article!! Thank you. I have been thinking about getting a Vitamix or a Blendtec. Thanks Karol! I’m kind of partial to the Vitamix, both because that’s what I own and because I really like having the tamper. I like to be “hands on” and involved with my blending, ha ha!